But the good news is, that I have been seeing some pigment return on my left hand! I put together a collage so you could see the consistent progress. What’s interesting to me is that this is the same area I first began to lose pigment 2 years ago. As you can see in the photos, I had no progress to report from 9/8/2013 till 6/6/2014. That’s 9 months of no change despite lots of effort. I started Nutritional Balancing in March of this year (2014) and it has only been since then that I have NOT gotten any new spots (only continued very slow spreading of existing ones) and I’ve started to repigment. I am currently taking a number of supplements and I drink 10-12 oz of carrot juice everyday which helps prevent sunburn and also encourages repigmentation. I’ve been sitting in the sun only a couple of days a week for about 10 minutes or so with Merry Clinic’s Vitilax Skin Oil on my spots. They recommend doing it everyday, but I don’t always get around to it. Imagine what my results would be if I actually did it everyday? I think need to start making sure I get more sun exposure :). It’s just been SO hot here! Who wants to sit in the sun when it’s 106 degrees outside? Yeah, me neither! In addition to the Vitilax skin oil, I have a skin oil and cream that Dr. Wanakee Hill sells on her website TheWellnessWell.net, and I’m thinking about trying hers at the same time on my other hand and leg to see which works better for me… Wanakee on the right, Vitilax on the left :)! 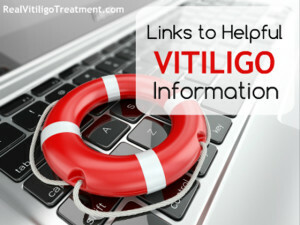 Vitiligo Pigment Boosting Oil contains more than two dozen essential oils, herbal oils and nutritional oils to potentially stimulate dormant cells to produce pigment for those who suffer from vitiligo and other pigment loss ailments and diseases. The white spots on my legs have slowed down, although I do still see some expansion of existing spots. I recently discovered I may have an egg allergy, which may be very significant to my healing. Only time will tell….and I will keep you all posted in the meantime. Hello! thanks for sharing your story! 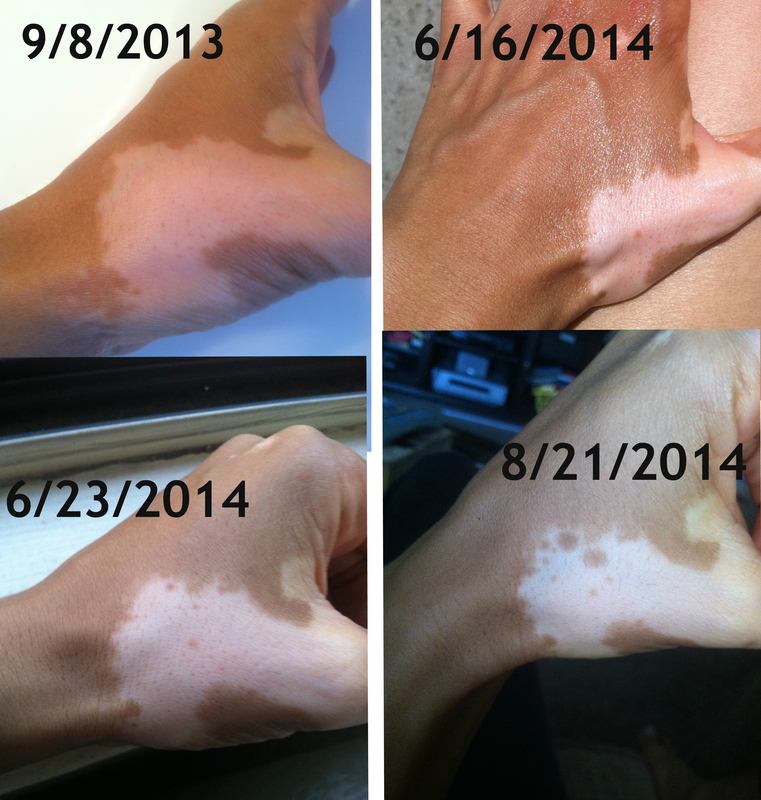 I also have vitiligo and it’s quite hard knowing the best course of action for treatment may be confusing. I am now well taken care of by Adult & Pediatric Dermatology and it simply is not true that pigment has a time limit. You can always heal and repigment at any time. Hi, I’m 18 years old and I have vitilgo on my face. It’s been so hard to deal with and it’s made me very self conscious unfortunately. I’ve been taking several vitamins. (ginko biloba, b12, vitamin d, vitamin b, along with merry clinic vitilax pills) it’s been a long time and it’s just remained the same. Is there any advice you can pass on to me? what foods should i avoid etc? Hello, just came across your blog. tHanks for sharing your experience its very helpful. I also read your article on relation between low stomach acid and skin. I am having vitiligo since past 14 years with no sign of success. I am having a big doubt that i may have low stomach acid, I discussed it with my new dermatologist but he denied to it. How can i know that my stomach acid is low? Is there any easy and correct way to do it? I read where a doctor put a pipe down into your stomach, take out the acid and test. I dont want to go through that pain. What else could be an option? My tongue is always coated white with small dots on it. Is it a symptom to it too? If you want a definitive answer regarding low stomach acid, an alternative would be to get tested for adrenal fatigue. Generally speaking, if you are suffering from adrenal fatigue it is automatically assumed that you have low stomach acid, since the two go hand in hand. A GP likely won’t test your adrenals, since most of them don’t believe that adrenal fatigue exists. You will have to see a holistic doctor or a functional medicine doctor for this. I am unsure about the white coated tongue, the only thing I can think of is that it could be thrush (yeast/candida). If this is the case, then yes it could indicate low stomach acid. Do you have any other symptoms of candida? Hope that helps, and thanks for visiting! I’m glad you are finding comfort from the blog. I will for sure keep you posted on my progress. In fact, I will be adding some new pictures in a few days. Thanks for visiting! Ur blog is fantastic! Can I ask how u know u have an egg allergy? What test did u do? It turns out I do not have an egg allergy. What I was experiencing had to do with the sulfur contained in the egg yolk and which was causing my liver to detox copper. The circulating copper in my system was what was giving me the itch rash/hives. This is all related to my Nutritional Balancing program. Normally eggs would not cause such a severe detox. Still, if you are having discomfort of any type after eating eggs, I would eliminate them for awhile. Many people are allergic to eggs. Thank you so much for visiting! 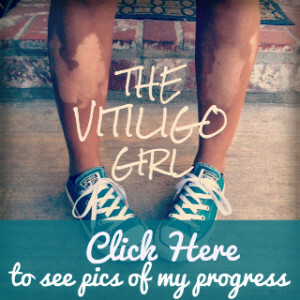 I’m sorry your little one has vitiligo, I think that would be harder for me to deal with than having it myself. But it sounds like you are on the right track! My only advice would be maybe adding zinc and a probiotic for the gut. The zinc will help heal the gut too. And also be patient 🙂 It takes awhile for the skin to start to repigment in most cases (although the face does respond faster). Please keep me posted on her progress. Your daughter is fortunate to have you fighting this for her. Don’t give up! Thank you for the inspiration and all of the information. Thanks so much for stopping by, and I’m so glad you’re enjoying the blog!